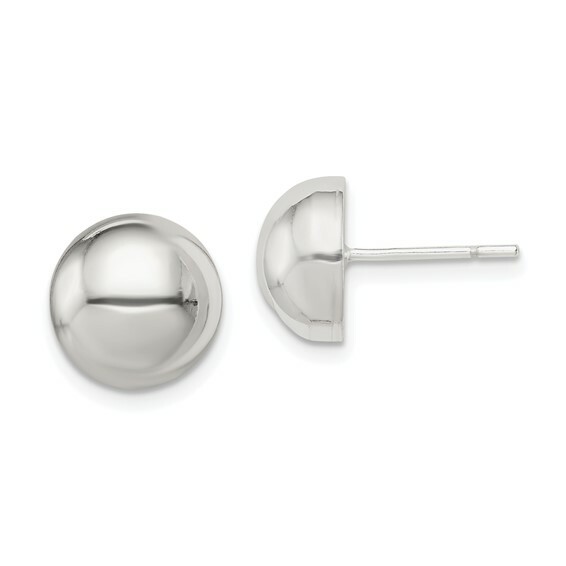 Polished button earrings are made of sterling silver. Measures 10mm round. Weight:4.3 grams.